The discovery and exploitation of natural gas in Tanzania is expected to result in the rapid growth of the country’s real estate economy, according to a recent report that was released by German real estate group, Lamudi. The Lamudi report explored 16 emerging markets in Asia, Africa, Middle East and Latin America and explained that the construction of the Mtwara to Dar es Salaam pipeline will create and increased demand for housing and office space. The Lamudi report went on to indicate that the continued growth of the Tanzania economy presents an increasing number of opportunities for investors looking to take advantage of the opportunities in the real estate sector. “The government’s efforts to change their market policies, has led to a more inviting and stable investment environment for local and foreign businesses [which] will lead to a flourishing economy,” the report reads. 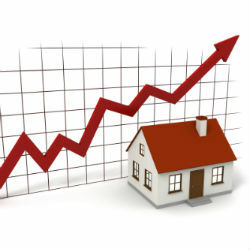 Research for the report was gathered through a series of online surveys and interviews with house-hunters and real estate agents in each country and also uses onsite data gathered from a network of Lamudi websites to effectively scrutinize the habits of online property-seekers and provide insights into the future of the real estate sector.